Christianity tends towards three aspects in the human life. It aims at nourishing one’s Spirit, Spreading the Gospel and Performing Godly services to the people (Gooding & Lennox 69). In order to make the congregation experience a sense of belonging which everyone requires, all these should be involved. Everyone should feel like a part of the church through certain experiences or missions. As a pastor, I would ensure my congregation is well prepared spiritually. Thus, I would make them involved in the following three activities, as explored below. The heavy emphasis placed upon math within the primary and secondary school systems is ever increasing. 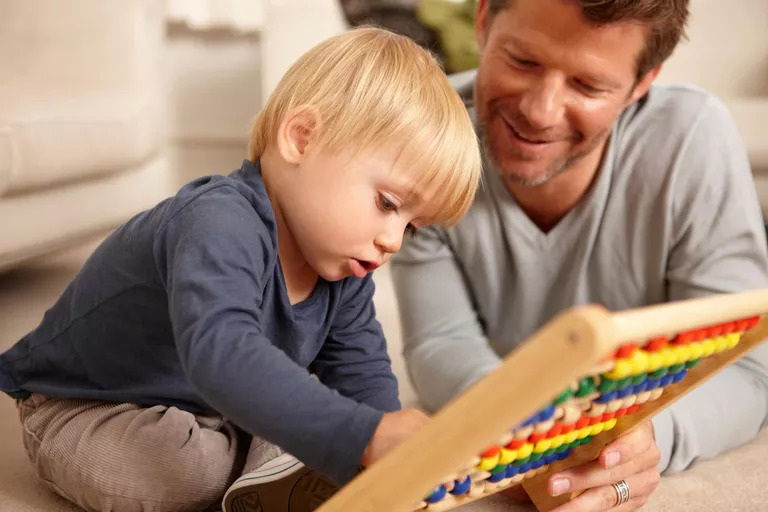 In this, it is important for toddlers to understand and grasp early math concepts, such as number recognition or counting, early so that they can keep up in primary school. Within a child’s toddler years, they may begin learning these basic concepts both at home, as well as in preschool, so it’s important that both preschool teachers and parents understand how to relay these concepts clearly and concisely. Young children best grasp onto new concepts through encouragement, as well as with hands-on games, projects, and activities, to help them better engage with and explore the concepts themselves. Children typically learn best through engagement and hands-on activities. These settings do not feel strictly like learning, so they are easier to get children to engross themselves in. The Canadian Child Care Federation’s factsheet on “Ages & Stages of Numeracy Development” states that when children are toddlers, they are able to tell the difference between amounts of objects, can learn to recite numbers, can do basic calculations on objects, and can begin to recognize what numbers look like (Canadian Child Care Federation, 2009). This means that children can begin to play games and activities to better grasp these numbers. Several games and activities are listed out by the Norwood Education District for learning numbers such as through matching and comparing, ordering, sequencing, sorting, measuring, and free play (Norwood Education, 2004). This “number sense” is explored by Sharon Griffin, and outlines how children move through stages of learning, and which games are best at each (Griffin, 2004). These methods help to encourage hands-on learning with children, preventing them from becoming bored or frustrated. Griffin, S. (2004, January 12). Building number sense with Number Worlds: a mathematics program for young children. Norwood Education. (2004). Children’s Development of Mathematical Concepts: Ages 0-4. Peterson, S. (2012, September). School Readiness for Infants and Toddlers? Really? Yes,Really! Law of demand states that all factors being held constant, as the price of a good or service increases, the demand for the good or service will decrease that is the higher the price, the lower the demand and vice versa (Bowling, 2014). This law of demand will affect the market for health insurance in the way that if the insurance increases its rate, then few people will go for the insurance policy but if the insurance coverage reduces its rates, then many people will embrace the insurance policies. Pricing of any commodity or service is determined by the demand of the good or service. That is thus the aim of the Affordable Care Act is to increase the demand for the service then the price of the service has to be lowered as the law of demand states thus affecting the average price of the health insurance by the law of demand. It can be noted that prices favorable will run many suppliers to venture into the industry with the aim of offering the service since the returns will be high and they will be making profits. On the other hand, when the prices are unfavorable fewer suppliers will be willing to venture into the business as the returns they gain law and improper to them and in accordance with the law of supply (Falconi & Roe, 2013). The Affordable Care Act has its goals set at affordability and accessibility of the health insurance and thus the demanding law favors it as price will reduce then many citizens will afford it becoming affordable and accessible but the law of supply is unfavorable as the suppliers will be less. Bowling, A. (2014). Research methods in health: Investigating health and health services. Falconi, C., & Roe, T. L. (2013). Economics of food safety: Risk, information, and the demand and supply of health. Minneapolis: Economic Development Center, Dept. of Economics, University of Minnesota. 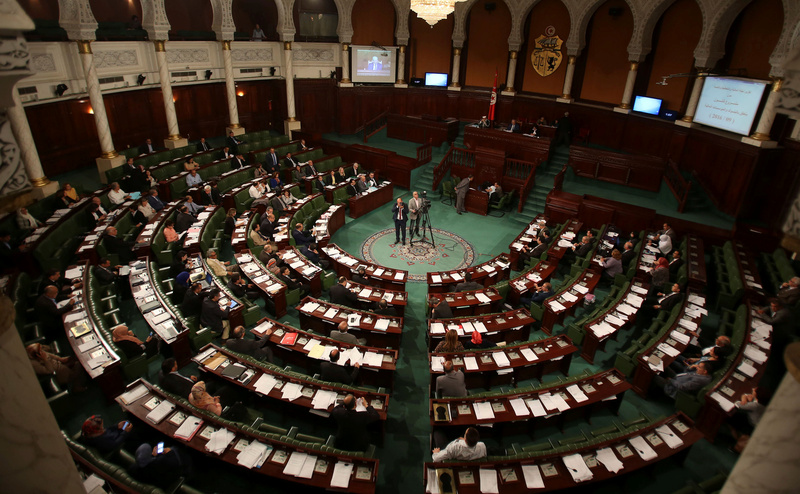 Democracy is subject to approved elucidation, and a number of nations utilize both Presidential and Parliamentary structures to support this cause. Hence, a nation’s capacity to move towards majority rule government based on the Presidential or Parliamentary form of government has to some degree do with the mental condition of the people in power, not the frameworks being referred to. Let us take the case of Guatemala and Belize, which are both South American coastal nations sharing the same topographical locale. These two nations are also similar in land mass and similar objectives of democracy. Despite the fact that they have been having boundary dispute with Guatemala asserting Belize to be its own, they are governed contrastingly by the law based system. Which framework has moved their individual nations towards democratization or against it is a practical question. However, what I propose is that there are no critical contrasts in the adequacy between the Presidential type of government and the Parliamentary, as both frameworks are extensively the same in establishment and strategy. The land in which Guatemala and Belize are set up upon had previous ancient governments with civic establishments based upon the Mayans, the Incans, and the Aztec people groups. In spite of the fact that they worked well for the most part, autocracy styles of government, at different points in history leaned towards the business-based voting system. On the off chance that the holders of government office have thankfulness for the past civilities that were supplanted with the current Presidential and Parliamentary frameworks and held a direct level of sensibility for the root philosophy of Democracy, and if that ideology is offered and practiced outside of national borders as well as inside, then they have the fundamental application to at least operate their Democratic foundation. Governments in simple terms refer to the rule of law. The government basically comprises of individuals that exercise the rule of law over a nation, city state or any political unit. It is, as it relates to this subject matter a specific arrangement of dealing with a nation, state, city and any political unit. . Governments also set up rules and regulations to be followed by its citizens and at the same time what is expected of the citizens including their rights and freedoms. All this are contained in a special document called the constitution. It should also be noted that governments are formed due to various reasons. The United States government, for instance, was built up for six particular purposes, according to the constitution. These rationales include unity, justice, residential peacefulness, defense, promotion of the general welfare of the citizens and securing freedom for all. It is clear that individuals would be more averse to regard contracts and concurrences with each other because of the absence of an objective way to settle disputes. Economics is at the very center of Presidential and Parliamentary Democracies as it was during the pre-established Central America, and general government as per the definition just noted. Some of the people with long histories of rebellion against foreign rule are the Yaqui Indians of Sonora (in Mexico). They are known to have been occupying banks of River Yaqui during the pre-Hispanic periods. They savagely opposed occupation by the Spaniards, and stayed outside pioneer control until willfully submitting to the power of liberal Jesuit ministers earlier in the 17th century. For a long time, the Yaquis lived calmly in model towns set up by the Jesuits and administered by their own local powers. With the expanding infringement of Spanish, Creole, and Mestizo excavators and farmers into their domain, in any case, in1740, the Yaquis joined with the neighboring Mayo Indians in rough and grisly uprising against the Spaniards. The result of this was that they drew Indian administration into a hostile place based on the religious standards. They mercilessly aggressed and oppressed their subjects (Carmack, 2016). With the diplomacy of religious principles, they were able to draw Indian leadership into extinction. Today’s heroic and champion views of those conquerors are relative. What was a declared a natural right by them, the benefit of the land, unfortunately was at the expense of the natural inhabitants of their claim. By their very faith that they were to be a government of themselves, they aggressively and mercilessly applied their power against the majority rule. It is true that even Cortés himself was an outlaw of Spain since Cuban Governor Velázquez actually forbade him to lead his expedition into Mexico. Throughout these historic events, the more developed and powerful governments or commanders that dared to successfully operate independently, made its actions appear justifiable through their application of central government principles. The following 350 years saw a rule, a limitless realm in light of the work and misuse of the Indian population Conquistadors descended on America keeping in mind the desire of conveying Catholicism to new terrains while amassing incredible wealth. Religion and self-interest joined to make a strong blend that drew a huge number of Spaniards over the sea bearing in mind the end goal of discovering wealth and winning souls for God. Religion blended with legislative matters to make a hybrid framework in what might turn into the American Southwest: Dominican, Franciscan and Jesuit teachers were regularly left accountable for huge zones in what is presently Texas, Arizona, New Mexico and, later, California. With its objective of conveying the Catholic religion to the New World, Spain was likewise ready to utilize the current church governments for its own political deployments. Today, religion and governmental issues keep on mixing in Latin America (Shmoop Editorial Team, 2008). Each individual is affected and has the privilege of self-governing. All through recent history, many people have surpassed these rights and figured out how to mark those essential human standards for denying others of these rights. Benefitting from seizing and occupying the land that is known for others is the adequate confidence of the individuals who abuse the confidence, rights, customs, and arrangement of representing others. One method for investigating the genuine goals of past outreaching powered campaigns that would vanquish local resistance is to take after the tax collection strategies of the vanquishers. It has often appeared that profit has always been the genuine mission over practicing characteristic rights and proliferating religion, to the point of military compel. In real sencedemocracy, has worn many appearances, painted many hues, and has been given many names, for the most part to legitimize triumph and material pick up. American sociologists and political researchers recommend that with the end goal for there to be a steady vote based system there must firstly be “certain economic and social background conditions, such as high per capita income”, before coming up with central standards of social understanding, for instance, literacy. Just like other people would claim in simple terms, “the ends justify the means” (Rise & Fall of Democratic Society). The need for accord stands out to be the basis of democracy by a logline of authors, not really as regular faith in specific basics, yet procedural accord on the standards of the amusement called “the Agreement to Differ.” obviously, no majority rule nation can reasonably send their military upon another unless that nation has a definitive assent of their citizenry. The larger part of sentiments control in a general public where the people groups’ privilege and ability to vary is complimented. In this manner in advanced majority rule governments, consistent promulgation and success of the republic to the detriment of opponent sovereign states, alongside the guarantee of budgetary strength for administration men and ladies, are the standard. The bottom line is that, Democracy is a “framework” made and worked as framework seems to be. It is a plan, a strategy, a system, an operation, a game plan for the reason sorting out accessible assets for at any rate those in control of its administration. Its prosperity or disappointment to a great extent relies on upon the nature of the administrators of it, and the voters who choose them (Rise & Fall of Democratic Society). Many attempts to apply a single world-wide perspective to democracy have been there but have had their limitations in terms of either, a strategy, a system, an operation, a game plan for the reason sorting out accessible assets for at any rate those in control of its control. Its prosperity or disappointment to a great extent relies on upon the nature of the administrators of it, and the voters who choose them. What condition was the world in before there were set up governments as we probably am aware them? Let us have the two countries that form our subject, Guatemala and Belize. 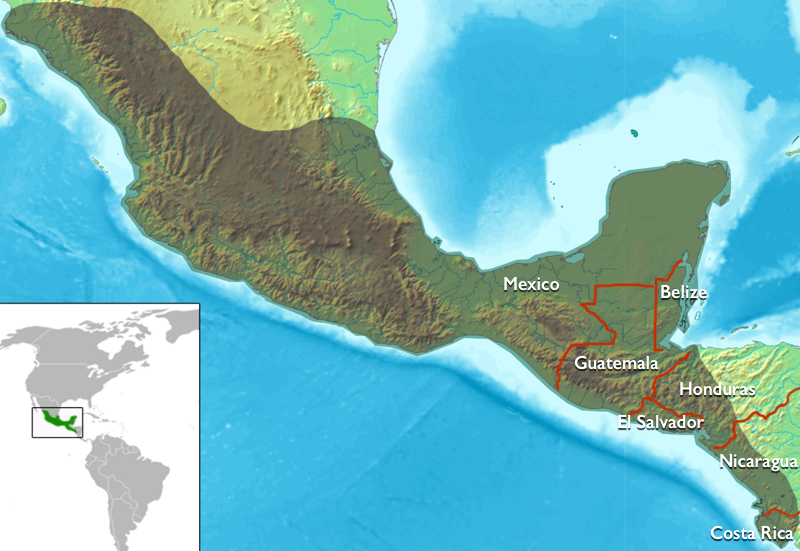 The two countries are of the region called “Mesoamerica”. Before Spanish investigation and the campaign of Christopher Columbus, these two nations and the neighboring grounds seem to have had set up human advancements and societies that flourished with unprecedented improvements in progress and culture, as it peruses in the Encyclopedia Britannica, positioning with the early civic establishments of Egypt, Mesopotamia, and China. Through historical records and artifacts we find that the farmlands and towns were in actuality monetarily independent and politically self-sufficient, with a populist social request. Archeological signs do derive that a class-organized and politically concentrated society created there and in neighboring locales. At that point as the social modernity extended and the magnificent figures of what are ventured to be delineations of the individuals who ruled were raised, the straightforwardness of the social and political requests started to change. A class-organized and politically brought together society created and progressed similarly as taking part in household contending groups from that point, around 1200 BCE, through 1521 when the land was vanquished by Hernán Cortés and the Spaniar(Reynods,1970). Among these Pre-columbian civilizations spoken of here are the well-known Maya, Zapotec, Totonac, and Teotihuacán civilizations of what is now known as Mexico. Today, Mexico, however once independently formed into an incorporated type of self-government taking after that of an unspecified Presidential Democracy, is as of now a built up Presidency, but then moderately immature in the realm of Democracy. Before being colonized by an extremely self-serving foreign government with superior military might, the people of native Belize and El Salvador resided in their own particular type of an unspecified Democracy many allude to just as “tribalism.” But, in the event that Democracy is (tribalism closeness) on a fundamental level, then (Mesoamerica as of now had popular government and a routine of religious standards as sovereign nations). the names of Presidency and Parliamentary are only that; marks used to constitute and control the privileges of the natives in the nations that utilization them, now and again over the privileges of different nations and their citizenry. There are several reasons that could lead to the downfall of a democracy. In our review we were able to distinguish a few normal variables. To begin with, youthful democracy systems are regularly debilitated by extraordinary levels of pay disparity. Rising salary disparity demonstrates a useless vote based state in which financial power is moved in the hands of the few, instead of one in which monetary open doors are broadly shared and diffused. Second, these governments cannot oblige the official branch of force, whether presidential or parliamentary, hence end up thinking that it is hard to support participatory types of government. Social researchers acknowledge that, through the acquisition of facts and proof through verified research, that Presidential and Parliamentary forms of governments are merely a change of clothes for a democratic governing body. This article points out what it meant to govern with this system of democracy in its premature state. Modern day governments also act as mass Certified Public Accountants for the citizens of their land. American government for example has gone from a sufficient tariff policy before 1913, to then ratifying the policy of Income Tax and a multiple set of other federal dues along the way, to currently being the owner of near 30 trillion dollars in debt, all the while borrowing money from its very citizens by way of programs such as Social Security and Medicare. U.S. federal practices are not unusual in the global scheme of things, and it is safe to say that it, and government bodies of many other countries, is deeply entrenched in institutionalizing the economies of commonwealth (Przeworski, 2000).The land where Guatemala is today was effectively conquered and colonized by Spanish explorer Pedro de Alvarado. It was at the center of Mayan Mesoamerica. With everything that has been expressed in this about what exposition, it is marginal silly to even, regardless of the possibility that we precluded the undeniable poor examination rate of its unique foundation. Regardless of the possibility that we forgot the dampening actuality that majority rule government is flawed at present, devastation and force shown similarities Presidential and Parliament even in their Dictatorships. It merits specifying that fascisms and rulers are comparative in nature and capacity, as the overcoming gathering were speaking to Queen Isabella the Catholic Monarch of that time. Shmoop Editorial Team. (2008). Spanish Colonization Summary & Analysis. Tait, E. A., Coffman, E., Olsen, T., Maust, J., III, J. D., Galli, M., & Tucker, R. A. (n.d.). The Christian Conquerors. Rustow, D. A. (1970). Transitions to democracy: Toward a dynamic model. Comparative politics, 2(3), 337-363. Carmack, R. M., Gasco, J. L., & Gossen, G. H. (Eds.). (2016). The legacy of Mesoamerica: history and culture of a Native American civilization. Routledge. Waterbury, J. (1994). Democracy without democrats? The potential for political liberalization in the Middle East. Democracy without democrats, 23-47. Przeworski, A. (2000). Democracy and development: political institutions and well-being in the world, 1950-1990 (Vol. 3). Cambridge University Press. Beckett, E. F. (2013). Listening to Our History Inculturation and Jesuit Slaveholding. Studies in the Spirituality of Jesuits, 28(5). Eddlem, T. R. (n.d.). Before the Income Tax. Rise & Fall of Democratic Society. (n.d.). First, the Disney Company has numerous internal factors that positively influence its operations. To begin with, the Company has a reputable brand that enjoys global recognition (Abubakar & Bello, 2013). This status promotes efficiency and reliability on its management operations (David & David, 2016). It is internationally known that the Disney parks are the best in the provision of entertainment settings. Secondly, its popularity is boosted by the existence of many entertainment companies under its umbrella. It also has many assets such as amusement parks, several channels, and stores in different parts of the world. This huge inventory enables the company to make several acquisitions whenever the management considers such ventures as potential for company growth. Thirdly, another strength enjoyed by this company is its goodwill (David & David, 2016). This refers to an intangible asset that generates revenue towards the company in different parts of the world. Its diversity of services also contributes towards its strong position in the world. Other than entertainment, it also provides clothes, toys, and plates among many others. The strengths of Disney company rely on its strong products like television network Fourthly, ESPN is the leading cable network in the world. Fifthly, Disney Company has remained strong and competitive in the market due to its strong policies against piracy. The company has formulated strong policies to minimize and, if possible, eliminate piracy (Abubakar & Bello, 2013). There is little evidence pointing to piracy incidences regarding the company’s products and brands. Privacy cases result in recurring lawsuits that are quite costly to any firm. Therefore, it is a positive step that the company has taken to ensure that no incidents of piracy are reported on its products. Additionally, enforcing laws and regulations touching on intellectual property rights have been a success in some countries, thus elevating costs for the Disney Company and enhancing profitability. Unauthorized use of intellectual property not only has posed a challenge to many companies but the media industry at large. Intellectual property right holders suffer in the long run. Advancements in technology permitting faster transmission of copyrighted material, therefore the laws help the company to maximize its revenues. Technological advancements take place on the Internet as it serves as a platform where such exchanges occur. It thus becomes difficult for consumers to buy DVDs if they could easily watch their desired content online. To counter this problem, the company has ensured that intellectual property rights are necessary to its success (Gershon, 2013). The seventh strength entails the company’s marketing strategy. The Disney Company has ensured that it implements an effective marketing strategy that will enable it to control the North American markets. It depends on, to a large extent, the North American market that provides almost 70 of her revenue (David & David, 2016). In comparison to other media entertainment providers, their share of income from other countries balances with the proportion from the U.S markets. If there were to change in the North American market that disfavor economic gains, the Disney Company would be adversely affected. With this marketing plan, therefore, the company has been able to overcome unhealthy competition from competitors. Next, to respond to the digital transformation, Disney Company has integrated digital advancement into their marketing strategies in dealing with business challenges. The company has improved its customers’ experience through the use of digital transformation strategy (Abubakar & Bello, 2013). It is a significant boost to any company because it has enabled Disney Company to overrun its agile competitors. The ninth strength entails the company’s organizational structure. The company’s eleventh strength lies in its diversification. Through diversified businesses and localization of products, the Disney Company’s operations are not affected by both internal and external environmental changes. It has different segments that operate independently in the market (David & David, 2016). The localization of products enables the company to make products that match the demands and preferences of the local people. For instance, some movies are adapted for Asian market to attract more customers. The company is financially strong. Apart from generating a huge and steady cash flow, Lastly, Disney Company has one of the strongest balance sheets in the corporate world. Abubakar, N., & Bello, G. B. (2013). Strengths, weaknesses, opportunities and threats (SWOT) analysis on globacom Ltd. Int. J. Inf. Technol. Bus. Manag, 16(1), 83-91. Dalavagas, S. (2016, July 11). Disney: A Short SWOT Analysis. Value Line. Gershon, R. A. (2013). Media, telecommunications, and business strategy. London: Routledge. Religion is a heated topic in society today. Debates about religious freedom, political correctness as it relates to religion, and the role of religion in morality are common topics in the media and in the literature. A difference in opinion about the linkages between religion and morality was present in the 20th century and continues today. Schleiermacher argues that religion is separate from morality, that it is an experience that can be conceived of by everyone, even in the absence of the concept of God (Gunton, 1997). In contrast, Kierkegaard argues that ethics, or morality, is intimately tied to religion and that one cannot truly exist without the other (Kierkegaard, Hong, & Hong, 1987). 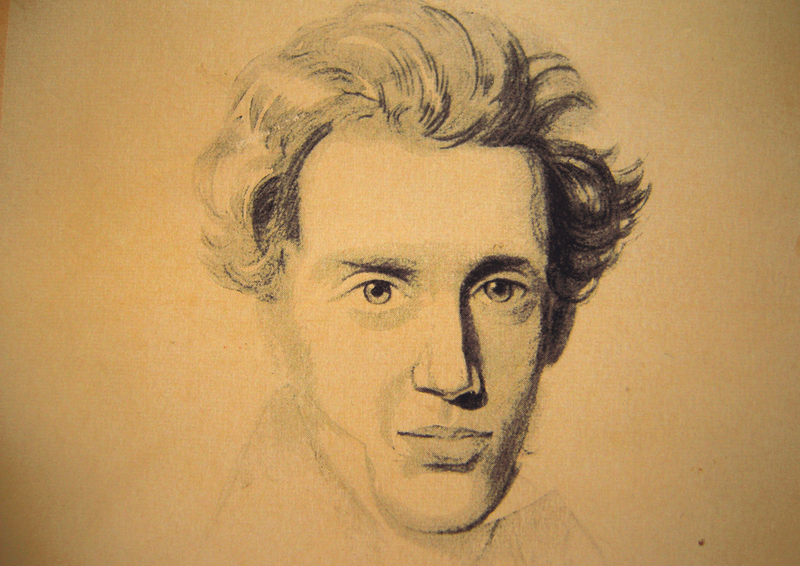 Though Kierkegaard and Schleiermacher present contrasting views on the connections between morality and religion, both present valid and thought provoking arguments. Schleiermacher argues that religion is an experience of feeling connected to something larger than ourselves (Cross, 1911). He relates it to our experiences of connection with nature and the rest of mankind. Since this feeling of connection to the world around us is something that everyone can conceive of, religion is possible to understand without a notion of God per Schleiermacher. Schleiermacher’s argument on religion as an experience is hard to refute, and yet it seems in harsh competition with common interpretations of religion. In contemporary society, most individuals would relate most to Kierkegaard’s interpretation of life stages (Kierkegaard, Hong, & Hong, 1987). Often, as humans go through life we move from a state in which our actions are largely dictated by our desires to a state in which we can contemplate the consequences of our actions. However, Kierkegaard’s linkage between morality and religion can be dangerous in a world where atheism is on the rise. Many people find it difficult to be moral without religion. In the modern world, it may not be a question of whether morality and religion are linked, but the real challenge will be developing a moral system that people from different religious and cultural backgrounds can related to, so that we may all function together in society. Cross, G. (1911). The Theology of Schleiermacher. New York: The University of Chicago. Gunton, C. E. (1997). 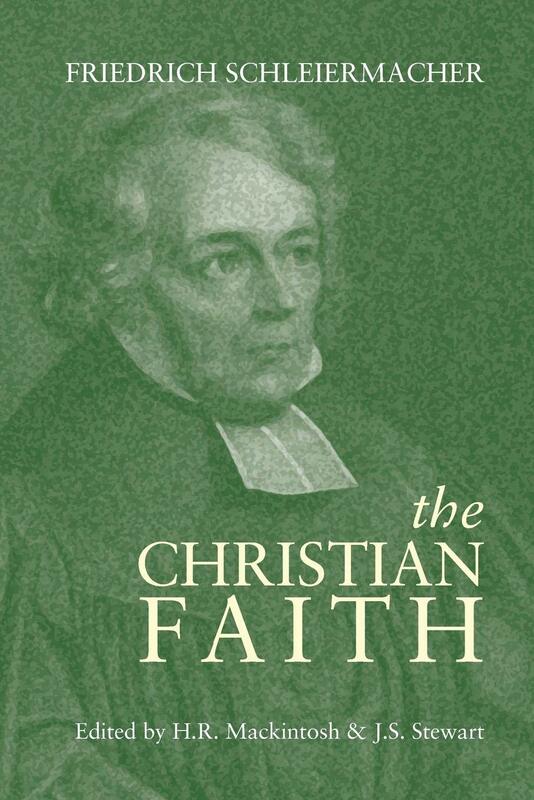 The Cambridge companion to Christian doctrine. Cambridge University Press. Kierkegaard, S., Hong, H. V., & Hong, E. H. (1987). Either/Or Part II. Princeton: Princeton University Press. Humans are social beings who seek to interact with each other in a bid to fulfill their various needs. A significant portion of human interactions occurs in a group setting. These groups may be formal such as groups at the workplace or informal such as peer groups. The processes and activities that occur between members of a group are referred to as group dynamics. Group dynamics are influenced by feelings, internal thoughts, communication, and the context within which members interact (Nazzaro & Strazzabosco, 2009). Group dynamics assist group members in understanding each other and making meaning from their interactions. Several theories have been put forward to explain group dynamics. Theodore Newcomb’s Balance theory, Homan’s theory of group formation, and Emerson’s exchange theory are the major theories of group dynamics. Emerson’s exchange theory argues that interactions between two or more people are a form of social exchange that has rewards and costs (Shore, Tetrick, Lynch, & Barksdale, 2006). Rewards take various forms and lead to the gratification of needs. Costs, on the other hand, take the form of anxiety, embarrassment, and frustration. Group members in an organization may, for example, organize themselves into groups due to various social and economic reasons (Shore et al., 2006). Members join groups where they feel that they will get benefits. According to this theory, based on needs and rewards, there are different types of groups that include primary groups, coalitions, and reference groups (Shore et al., 2006). Hoffman’s theory of group formation explains the forces behind the formation of groups. It is based on three elements: activities, interactions, and sentiments. Hoffman perceives these three aspects to be directly related to each other (Forsyth, 2009). Activities refer to tasks such as job responsibilities that are assigned to people. Sentiments are the feelings of people towards other people or work, and they are associated with approvals or disapprovals (Forsyth, 2009). The three theorists outlined above took on a very different approach towards group formation and the processes that sustain groups. Newcomb took on additive perspective into group dynamics in which he introduced (added) the factor of balance into interaction and propinquity. Newcomb argues that for a group to be successfully formed, there has to be balanced in their interactions (Forsyth, 2009). In case a state of imbalance occurs, the group members often strive to restore it with the attraction they have as the impetus. Without this balance, the group has no survival chances because members often dissolve it. Newcomb’s approach to group dynamics is logical and practical in the real world. In most relationships, there is some form of attraction between the members that stands between them and the prevailing attitude (Grant & Dutton, 2012). To sustain this appeal, parties to the relationship often strive to strike a balance on the common goal. Emerson takes on a different approach that has an economic dimension and does not focus on the attraction between parties or common goals (Moss, n.d.). Emerson argues that individuals enter into relationships with their eyes on the costs and reward outcomes of their interactions (Zafirovski, 2001). In this view, people are more likely to get into groups that are rewarding than those without rewards. Specifically, individuals will choose teams that have rewards that are most crucial to them. These are the groups that gratify their most pressing needs (Zafirovski, 2001). In conclusion, group dynamics are the forces acting within a group to influence group activity or behavior. Conventional theories that explain group dynamics are the exchange theory, balance theory, and the group formation theory. The balance theory focuses on the balancing act between attraction and goals in groups. The exchange theory concentrates on the economic perspective of group interactions such as rewards and costs associated with interactions. The group formation theory, on the other hand, focuses on the ideal reasons behind the formation of groups. Forsyth, D. R. (2009). Group dynamics (5th ed.). Belmont, CA: Wadsworth Cengage Learning. Grant, A. M., & Dutton, J. E. (2012). Beneficiary or benefactor: Are people more prosocial when they reflect on receiving or giving? Psychological Science, 23(9), 1033-1039. Luthans, F. (2002). Organizational behavior. Boston, MA: McGraw-Hill/Irwin. Moss, S. (n.d.). Social exchange theory. Nazzaro, A., & Strazzabosco, J. (2009). Group dynamics and team building (2nd ed.). Montreal, QC: World Federation of Hemophilia (WFH). Shore, L. M., Tetrick, L. E., Lynch, P., & Barksdale, K. (2006). 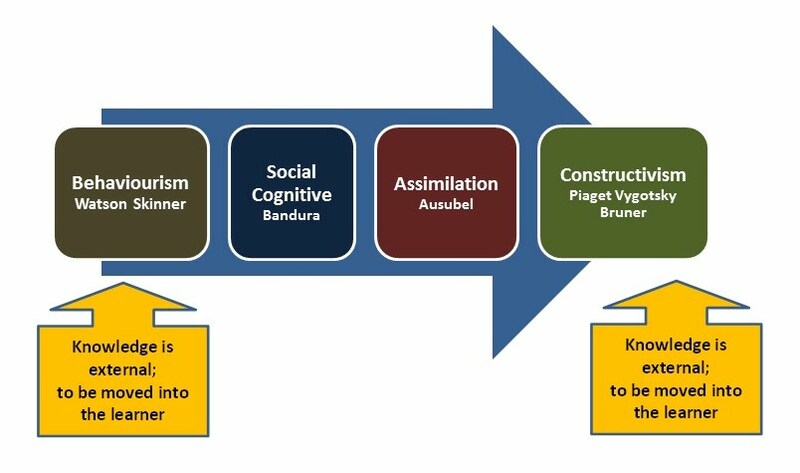 Social and economic exchange: Construct development and validation. Journal of Applied Social Psychology, 36(4), 837-867. Zafirovski, M. (2001). The economic approach to human behavior under scrutiny: An overview of arguments for the autonomy of social action. Social Science Information, 40(2), 195-240. 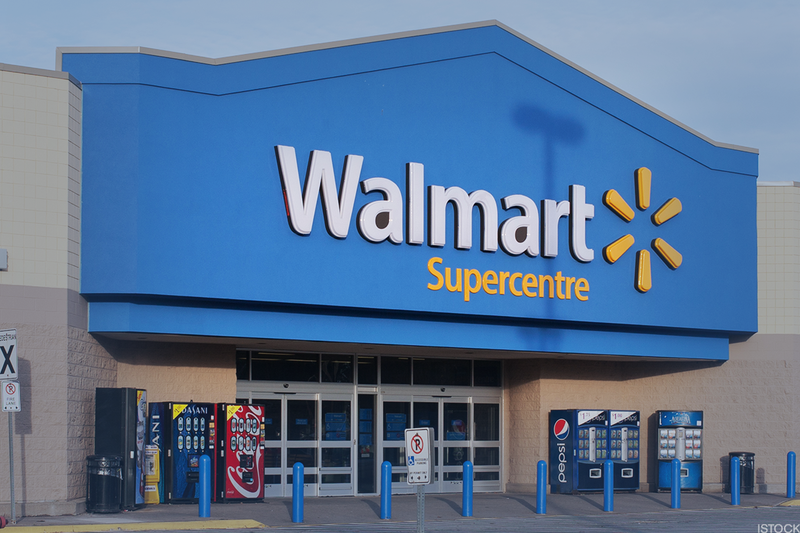 Wal-Mart Stores, Inc. henceforth, Walmart, is a US-based multinational retail corporation operating a chain of stores with a diverse product-line. Wal-Mart Stores Inc (2016) notes that the company was founded in 1962 by Sam Walton, and was later incorporated in 1969. It has its headquarters in Bentonville, Arkansas and has a robust market presence in Mexico, the United States, United Kingdom, Japan, India, China, Brazil, Argentina, and Canada. As of mid-2016, Walmart recorded 11, 570 stores and outlets in 28 countries across the world. By the current standards, Walmart is the world’s leading multinational corporation by revenue (Wal-Mart Stores Inc., 2016). Besides, the company is the leading global private employer with 2.5 million working under its management. It has a massive chain store dealing in entirely all the products in daily use. Walmart product-line are categorized as follows; electronics and office equipment, pharmacy, health and beauty, book, movie and music. Other product lines include sports, fitness and outdoor, toys and video games, home, furniture and patio, home improvements, food stuffs and toiletries, auto and tires, as well as photos and gifts gallery (The New York Times, 2016). This paper identifies apparel as the product-line that might increase Wal Mart’s growth potential if the company were to change its marketing strategy. The company’s SWOT analysis offers projections into the external and internal forces pertinent to Walmart’s strategy progression in the larger retail industry. Whilst these factors fluctuate over time, the company’s growth hinges on its ability to take advantage of its strengths. Besides, regardless of Walmart’s weaknesses in the retail industry, Nassauer (2015), argues that its strengths are enormous. Additionally, the company may use its strengths to maximize on the opportunities available to it in the retail industry (Hundekar, Appannaiah, Reddy, & Ramanath, 2010). Walmart may also use its market strengths to neutralize the threats it faces in the retail commerce. These market pointers are important elements in ensuring that the company’s food stuffs and toiletries department continues to expand its growth potentials. Thin profit margins usually come about due to the food stuffs and toiletries department’s inclination to cost leadership strategy at Walmart (Panmore Institute, 2016). Because the company minimizes selling prices, Walmart must equally minimize its profit margins in the food stuffs and toiletries department and rely greatly on sales volume. The company’s capacity to expand in new markets is based on the food stuffs and toiletries department’s high-growth economic potentials. Conversely, its prospects on human resource practices are directly related to its employment practices’ criticism (Panmore Institute, 2016). Walmart’s capacity to addresses consumers’ concerns would be on providing low-cost products with greater health benefits. As for Walmart’s food stuffs and toiletries department, the healthy lifestyle trend poses both an opportunity and a threat. On one hand, these pointers threaten the company’s business because the consumers perceive most of the department’s products are not being too healthful or natural. On the other hand, these pointers offer opportunity for the company to progress its quality standards and shine in the market (Panmore Institute, 2016). Notably, aggressive competition is stubborn threat to Walmart because other big retailers in the market could use more infinite marketing strategies to capture some of the company’s market niches. To navigate the prevailing critical economic storms in the retail industry, Walmart must focus more on investing on consumables, which have higher and rapid market returns to drastically scale up its growth potentials. Wal-Mart’s approach to these projections must aim at addressing the concerns raised in the SWOT analysis to capture the aspirations of the consumers and deal its competitors a blow in the retail industry. Despite, the challenges raised by the SWOT analysis, Walmart stands a better chance of realizing its market projections by investing on food stuffs and toiletries department. Hundekar, S. G., Appannaiah, H. R., Reddy, P. N., & Ramanath, H. R. (2010). Principles of marketing. Mumbai, India: Himalaya Publishing House. Nassauer, S. (2015). Wal-Mart surprises market with dim outlook. The Wall Street Journal. Panmore Institute. (2016). Walmart SWOT analysis & recommendations. Retrieved from Sherlekar, S. A., & Sherlekar, V. S. (2010). Global marketing management. Mumbai, India: Himalaya Publishing House. The New York Times. (2016). Wal-Mart Stores Inc.
Wal-Mart Stores Inc. (2016). The Wall Street Journal. Whalley, A. (2010). Strategic marketing.